Black & Brown says its accessories are all "proudly handcrafted in Britain" using responsibly sourced materials from Spain and Italy. 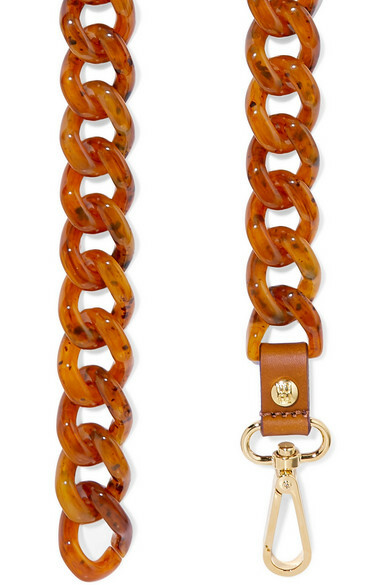 Trimmed with tan leather, this 'Jennifer' belt is made from chunky links of tortoiseshell resin. Match your jewelry to the polished gold-tone clasp. Shown here with: REJINA PYO Top, REJINA PYO Pants, Alighieri Bracelet, Paola Vilas Ring, Sophie Buhai Earrings.